Raghib Allie-Brennan is a grant writer and legal assistant with Pastore & Dailey LLC. His work mainly consists of processing Connecticut Small Business grant and loan applications through the Department of Economic and Community Development. Prior to joining the firm, Mr. Allie-Brennan worked in the U.S. House of Representatives as a policy adviser. 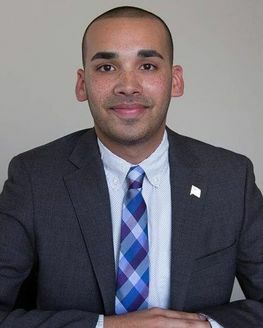 In November 2016, he was the Democratic candidate for State Representative of Connecticut’s 2nd Assembly, which includes his hometown of Bethel. Mr. Allie-Brennan is currently the Vice Chairman of the Bethel Democratic Town Committee, Vice President of the HERO Project (A Heroin and Opiate Awareness Project in the Danbury area), and a board member of Triangle Community Center in Norwalk, CT.
Mr. Allie-Brennan received his B.A. in International Relations from Marymount Manhattan College in 2013, with a double minor in history and communications. Marymount Manhattan College, 2013, B.A.